Order within 12 hours 17 minutes and it Ships Today! Traditional—yet Complex & Bold. Getting the perfect dark brown is tricky, and using only natural ingredients makes it even more challenging. But we did it, and it Rocks! We tweaked our black formula with some warm-hued herbs to express a strong dark chocolatey brown. This color captures all the cool depth of the Natural Black, yet still warms the face with its mocha rich browns. Simple, classic, and perfect for dark brown beards. Traditional—yet Complex & Bold. This is our darkest brown and best selling color. • will add some slight brown undertones to African, Indian, and Asian hair. Getting the perfect dark brown is tricky, and using only natural ingredients makes it even more challenging. But we did it, and it Rocks! We found that tweaking a variation of our Natural Black formula (adding some additional henna, and blending in some light reflective conditioners) we could get a glorious dark chocolatey brown. This color captures all the cool depth of the Natural Black, yet still warms the face with its mocha rich browns. Simple, classic, and perfect for dark brown beards. Ingredients: natural indigo, natural henna, alma gooseberry, false daisy petals, neem leaf…(that’s it). Natural indigo, natural henna, alma gooseberry, false daisy petals, neem leaf. Henna’d for the first time last week using this recipe. Absolutely love the results. The only changes I made were I clarified prior and; applied henna to damp hair. I also let the mixture sit for 5 hrs prior to applying to my hair (was multitasking). My hair is so much stronger now. Thank you! This was my first adventure in dyeing my hair and beard which were both mostly white and gray. The first application actually turned my beard green. After a couple of days it turned a brownish gray. After many emails back and forth to Sally at Henna Color Labs (I can’t say enough good, these guys care about their customers) I was advised to try a back to back application and to add a pinch of sea salt to the mix. I did this and the results were excellent. There was a slight hint of bluish green. When I woke up the next morning my beard and hair had both matured into a glorious dark bark. I couldn’t be any happier than I am now! It took 15 years off my appearance. Hoorah! The very best part is that it’s a natural organic product which goes hand in hand with my vegan lifestyle. I love the smell! I highly recommend this product. Thank you Henna Color Lab!!! Awesome product! Got burnt by JFM. Did some research and ended up here. I did two application and it looks as good as JFM but you know your not harming you skin or hair. In my opinion it last longer then any other product. My name is Reb Beach, and for the last 13 years I have been the lead guitarist for the well known rock band, Whitesnake. I had been using JFM for about ten years with no problem when all of the sudden BOOM! Major chemical burns on my face every time I used it. Some were pretty nasty and deep, to the point of bleeding, and my friends couldn’t believe that JFM was doing that to my skin. 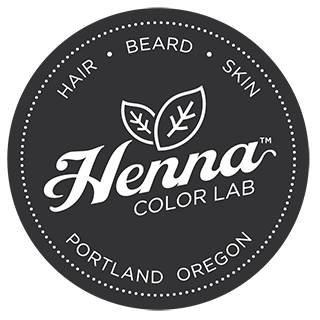 In my research online, I came across Henna color lab. I love this product so much, I felt compelled to share my experience, so that other guys with the same problem would know. It’s a powder and you mix it with water. I put it on and do emails or pack or whatever for at least 45 minutes. I do this once every three or four days, but I have a very short beard, so it grows out fast. You can google me if you want to see it. Anyway, one bag last’s me a month for ten bucks. With JFM, one box would last four days for ten bucks. Needless to say, I am saving hundreds of dollars a year with this product, and it is totally natural!! So, the first time I used it my beard turned kinda blue. I was a little worried, because I had read that would happen in the reviews and wondered if I would look like a 53 year old idiot, but it’s very slight. So the next day, I did it again and it turned completely dark. Trust me, THIS STUFF IS GREAT! Both times I ordered it only took three days to get it. The people there are super cool and nice, and really on top of it. Thanks Henna Color Lab!! !